Pacecare is a specialised module within Cardiobase to record all pacemaker and ICD implants and subsequent follow up assessments for your patients. Should a product recall occur you can quickly and easily track an affected product to the right patient. Alert staff of non-attendance by patients so that they can be followed up promptly. Tailored reports can be configured for general reporting and audit purposes. Assist with national audit requirements such as NICOR data submissions in the UK. Link to various manufacturer’s programmers – recordings from the devices can be stored in Pacecare for later referral. A pacemaker is a small device that’s placed in the chest or abdomen to help control abnormal heart rhythms. This device uses low-energy electrical pulses to prompt the heart to beat at a normal rate. 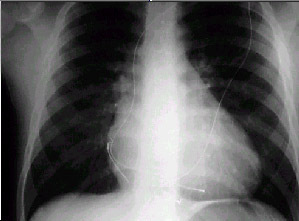 Pacemakers are also used to treat arrhythmias. Arrhythmias are problems with the rate or rhythm of the heartbeat. The pacemaker is inserted under the skin, usually in the upper chest, with one or more pacing leads being fed into, positioned and secured in the heart muscle. The simplest pacemaker will have a lead positioned in the left ventricle. Other types can have a lead in the ventricle with another in the atrium or can be used for controlling rapid heart rates. This procedure can be done under local anaesthetic with the patient obtaining immediate benefit. The initial pacemaker will be tested during the implant to ensure it is functioning properly and the leads are positioned adequately to provide a steady heart rhythm should the patient’s natural heart rate fall below set rates. After the initial post operation phase, with details recorded in Pacecare, a typical follow up routine would see the patient return for assessment every three, six or 12 months. The patient is assessed, measurements recorded and a new appointment is made. A pacemaker contains electrical circuitry and a battery, which can last many years. They require monitoring on a regular basis to ensure they are functioning appropriately for the patient and so that it can be replaced at an appropriate time before the battery runs out. 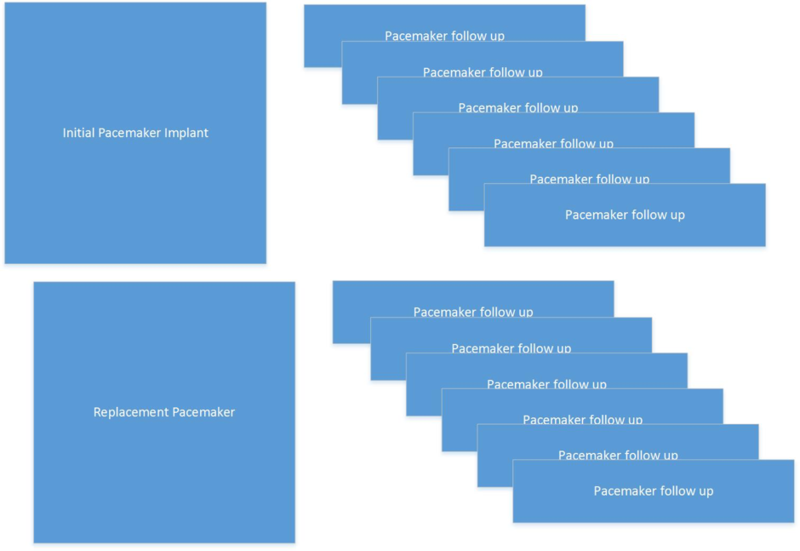 The pacemaker uses telemetry to send and receive information to and from the pacemaker manufacturer’s programming device. At each pacemaker clinic, the patient will be seen by a clinician and their pacemaker will be interrogated which will provide information such as battery level, pacing and sensing thresholds, usage and other useful information, which is stored in Pacecare. Pacecare will facilitate recording of the initial implant and subsequent follow ups, as illustrated in the diagram below. Should the pacemaker require replacement, due to battery depletion or for clinical reasons the details of that implant can be recorded and follow ups continue and are now linked to the new implant. Files from the pacemaker interrogation can be stored with the follow up records for easy retrieval and review as required. 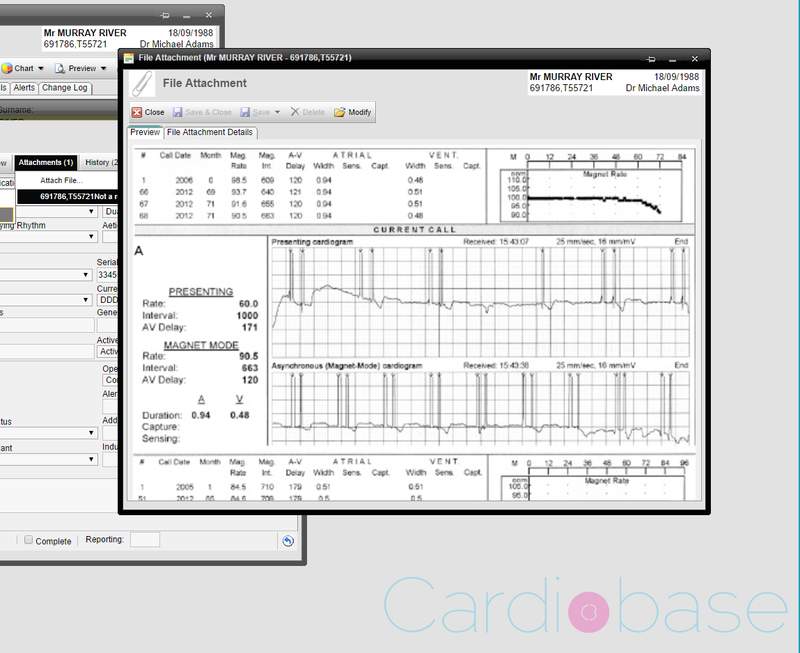 The following example shows a patient’s pacemaker implant record and a preview of an attached pacemaker interrogation report from the programmer. Multiple attachments can be added to the main Pacecare record or individual follow up records. The following report is an example from Pacecare’s DNA report and lists any patients who have not attended scheduled follow up appointments. It excludes deceased patients and those who have been transferred to other institutions for on-going follow up. The patient’s telephone number is listed for easier contact. In this example three patients have missed at least one follow up clinic, two are for a recent clinic and one has missed two follow up clinics. The following is an example from Pacecare’s Daybook looking for a specific pacemaker model. It will list all patients with that model. You can select any product that has ever been implanted in your patients and produce such a list. From there it is an easy an Alert flag can be added to individual patient records. The yellow circled entries in the screen clip are a result of the product alert report. Each patient is now given a bold red text Alert status with room in the Key Issues section for details. For further information contact Cardiobase Pty Ltd.